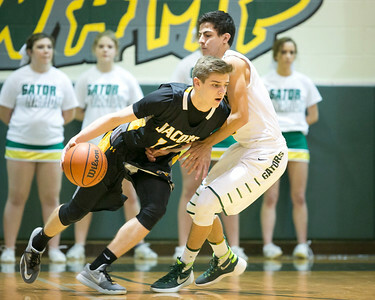 Daryl Quitalig - For Shaw Media 32 20 Jacobs guard Nikolas Balkcom (32) and Crystal Lake South forward Luke Nolan (20) battle for a loose ball during the boys basketball game at Crystal Lake South Saturday, Jan. 9, 2015. The Golden Eagles won, 52-37. 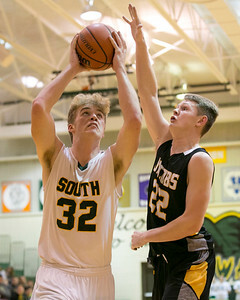 Daryl Quitalig - For Shaw Media Jacobs forward Mason Materna (22) defends Crystal Lake South's Weston Buckner (32) on a shot attempt during the boys basketball game at Crystal Lake South Saturday, Jan. 9, 2015. The Golden Eagles won, 52-37. Daryl Quitalig - For Shaw Media Jacobs senior and Captain cheerleader Lexxi (cq) Post begins a "Sink It!" chant after a free throw attempt during the boys basketball game at Crystal Lake South Saturday, Jan. 9, 2015. The Golden Eagles won, 52-37. 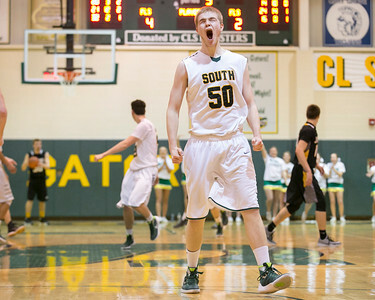 Daryl Quitalig - For Shaw Media Crystal Lake South center Joshua Friesen (50) reacts after a dunk on the other end of the floor late in the third quarter of the boys basketball game at Crystal Lake South Saturday, Jan. 9, 2015. The Golden Eagles won, 52-37. 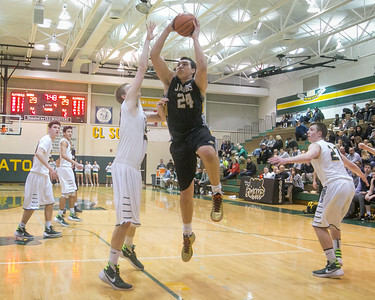 Daryl Quitalig - For Shaw Media Jacobs forward Cameron Krutwig (24) shoots the ball during the boys basketball game at Crystal Lake South Saturday, Jan. 9, 2015. The Golden Eagles won, 52-37. Daryl Quitalig - For Shaw Media Crystal Lake South guard Matthew Meyers (3) battles for a rebound during the boys basketball game at Crystal Lake South Saturday, Jan. 9, 2015. The Golden Eagles won, 52-37. Daryl Quitalig - For Shaw Media Jacobs guard Ryan Phillips (14) attempts a layup during the boys basketball game at Crystal Lake South Saturday, Jan. 9, 2015. The Golden Eagles won, 52-37. Daryl Quitalig - For Shaw Media Jacobs' guard Ryan Phillips (14) drives the ball during the boys basketball game at Crystal Lake South Saturday, Jan. 9, 2015. The Golden Eagles won, 52-37. 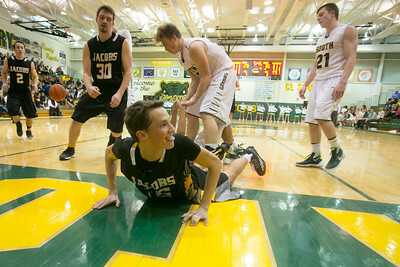 Daryl Quitalig - For Shaw Media 15 Jacobs guard Kyle Ross (15) reacts after being fouled by Crystal Lake South guard Matthew Meyers (3) during the boys basketball game at Crystal Lake South Saturday, Jan. 9, 2015. The Golden Eagles won, 52-37. 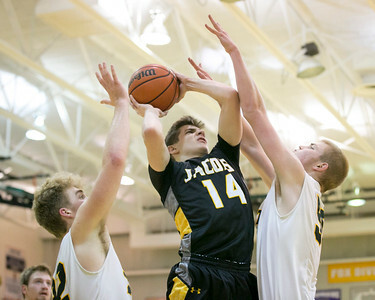 Jacobs forward Cameron Krutwig (24) shoots the ball during the boys basketball game at Crystal Lake South Saturday, Jan. 9, 2015. The Golden Eagles won, 52-37.